After a lengthy process that included 32 candidates and three finalists, the Newberg School District announced Monday that it selected Joe Morelock as its permanent superintendent. The school board voted unanimously to give Morelock a three-year contract extension as well. Morelock has served as interim superintendent for the entirety of the 2018-2019 school year and said he is grateful to have gone through such a thorough process. "When you're in a process like this, you hope they get as much information as possible from as many people as possible," he said. "I knew Newberg was a very attractive place and I'm humbled to be selected because of how enviable this position is. I'm looking forward to the next several years." Morelock brought decades of experience to the interim job in Newberg back in 2018 and is trilingual in English, Spanish and Portuguese. He has previously worked in Canby and Lake Oswego, among other places, and graduated from Portland State University with a degree in educational leadership. In his time as interim superintendent, Morelock has seen the district work through budgetary challenges and a leaner operation at the district office. The perseverance displayed by employees throughout the district, he said, gives him hope that the experience for Newberg students will only improve when additional funding comes to the district. The statewide conversation about education funding is ramping up, particularly since Gov. Kate Brown proposed a significant increase in funding for a variety of programs. A solution could be on the horizon, but until then Morelock and the district posit that additional funding is necessary to properly serve students. "Since 1990, we've been making constant reductions in this state," Morelock said. "I'm in my 26th year of working in education in Oregon and this is the most hopeful I've been. There's a genuine recognition statewide that we have been underfunding our school systems for a very long time. I can think of nothing more important than investing in our kids and we are going to continue to push our legislators to find additional funding." 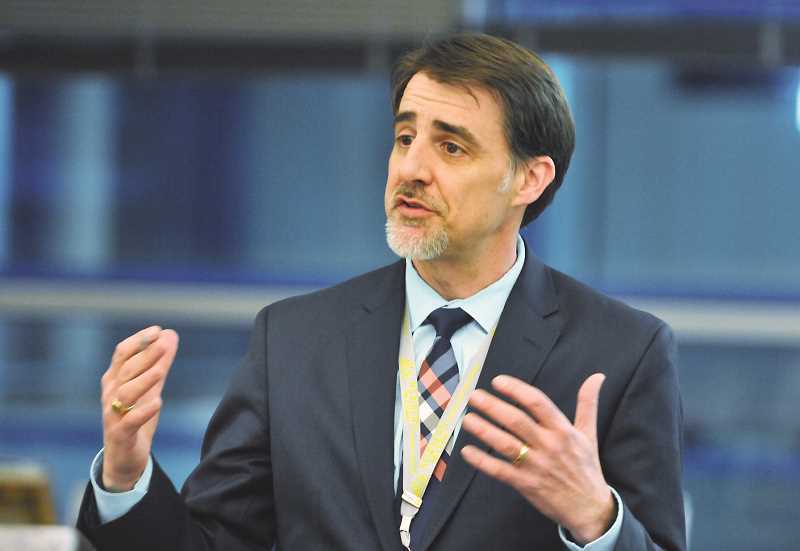 As the city of Newberg grows and the district with it, Morelock said he envisions a strong working partnership between Newberg schools and the local government. He meets regularly with Mayor Rick Rogers and City Manager Joe Hannan. That partnership, he said, is crucial as the number of students continues to climb in the school district. "We're trying to make sure that – as the primary pillars of the community – that we are working together," he said. "A strong school district is important to a growing community and there are a lot of things we do that we have to join hands with the city on. When people bring resources to bear to work on a common good, the power is even more incredible."